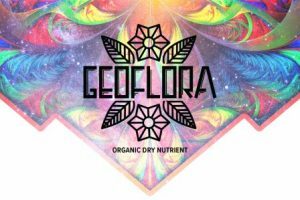 Geoflora VEG and BLOOM is a 2- part fully organic dry nutrient for organic growers. Designed with the end user in mind, the dustless form factor of Geoflora VEG and BLOOM ensures all 20 of the highest quality organic inputs in the formula are delivered evenly and without creating harmful, irritating dust during the amendment process. Geoflora VEG Is a 5-3-4 NPK formula designed to be applied during transplant and as a top dress to ensure vigorous growth in plants while also creating an established, well-supported microbial environment as plants progress through their life cycle. Geoflora BLOOM is a 3-5-5 formula with reduced nitrogen levels to help flowers and fruits achieve their maximum potential. Unique, organic phosphate and potassium sources kick start flowering, leading to rich, developed floral structures. It can be used as a standalone system, or as a base to compliment other nutrient additives. For more information and samples contact Left Coast Wholesale at 800.681.1757 or visit Geofloranutrients.com.